Just last week, John Warren was named as the new chairman of the China Horse Club’s International Advisory Council. Warren carries heady credentials. He is The Queen’s racing and bloodstock advisor and, with his wife Lady Carolyn, is the proprietor of Highclere Stud. Warren was in Ordos this weekend for the China Equine Cultural Festival, and talked to the TDN Sunday during a break in the action. Warren spoke about developing Thoroughbred racing and breeding in a country where betting is illegal, and change is uncertain at best. TDN: What’s the status of racing’s development in China? JW: I think there’s a big learning curve still. But there’s a massive appetite here. It’s working out how the China Horse Club can develop enough support to keep taking steps forward. I got involved three years ago, and it’s come a long way since then. In terms of racing, it obviously has to unfold without the gambling. But there’s massive potential in terms of sponsorship and employment–which is a tease to the government. I think what will happen, and what has started to happen, is that investors within the China Horse Club have enjoyed the ride overseas with their race horses. There’s been a big groundswell, and there are some big businessmen who are rather fascinated by it. TDN: How do you see Ordos playing into it? JW: When you see the potential out here with the grass, this could be the Kentucky, the Newmarket, the Hunter Valley of the future. Once they realize they’ve got some serious potential from the grazing front, then I think the grassroots and core development can come literally from here. TDN: How much of this weekend was about educating the political establishment? JW: The whole thing is a matter of learning, and exposing to the government the seriousness of the people who have come here this week. It’s a weighty few names, and I think it’s helped the government to look at it seriously. It’s just a matter of timing. 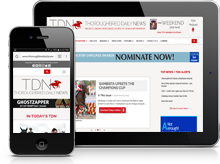 TDN: What do you see as your role as chairman of the Advisory Council? JW: I’ve got to try and bring as many people on the council as I can that will continue to lay down messages to businessmen, investors and the government, to try and open up their eyes to see what a significant benefit to any government that racing actually is. It’s a moving situation because it’s not very easy to predict here. But you need the government to understand the potential employment for people who are not in the digital world. There are people here that need employment, and of course everything is so technical these days. This is a big outlet. So the government needs to be educated. TDN: Is that education something that’s been effective here? JW: Compared to three years ago, quite significantly. I’m not saying they’re ready. But I think this is going to be a matter of time, and events like this just highlight all the possibilities. We’re going to see what the next phase takes; develop the board; and get some clever people who are Chinese. Because it’s the Chinese who ultimately need educating. TDN: Are you enjoying the process? JW: It’s fun to be a pioneer on something that should be happening. It really should be. You think of how successful racing is around the globe, and what kind of a thrill the Chinese would have to have a Chinese-bred horse come to the States or come to Europe with their top horses, like the Japanese are doing. I think the world’s their oyster, if they can overcome some of the edicts they have. TDN: Is it gambling or bust, in regards to the success of racing in China? JW: I think the more we talk about the gambling as a negative, the more it becomes a negative. I think we need to forget that. Racing didn’t start from gambling in the initial stages; it started from competition. I think if we can get competition up and running, the rest will follow. Or it won’t.